Who are called Company House? As the name suggests, it is under Company House where a company is created, renamed, restructured or closed. You can think of it as the birth, marriage and death for companies. More than 3.5 million limited companies are registered in the UK and approx 5,00,000 new companies are incorporated every year. The companies register are working as a sole trader, freelancer, contractor or small business owner and follow HMRC rules and regulations that need to meet with regards to filing taxes and payment deadlines. United Kingdom was the first country to create and maintain such an open and transparent corporate information register and this system allows the general public to monitor and inspect the ownership, actions and reliability of each and every company ( As per Company Act 2006 ) transacting business in UK. Company house falls under the remit of the Department for Business, Energy and Industrial Strategy (BEIS) and is member of the Public Data Group. Companies which are permitted by the United Kingdom Companies Act 2006 should be incorporated and registered with Companies House. The Companies Act 2006 (C 46) is an act of the Parliament of the United Kingdom and forms the primary source of the UK Company Law. As the official registrar of companies in the UK, Companies house function in three separate countries, each of them having its own registrar. Company registrations for England and Wales are done in Cardiff. Chief Executive of Company House is Ann Lewis. Registrations for companies for Scotland are carried out in Edinburgh and its registrar is Aoife Martin. For companies in Northern Ireland, registration is done at their Belfast Office and its registrar of companies is Helen Shilliday. Companies House allocates a unique sequential company number to each new company registered. Cardiff office allocates 8 digit numbers, Edinburgh companies start with “SC” and Belfast companies start with “NI’. Numbers allocated to them are permanent i.e. they can never change the allocated number even if they change the name of the company. What type of businesses is registered at Companies House? Name of your company, including those that require permission. Setting a business bank account. Selecting type of company which suits your need. Any kind of secretarial support. List of authorized company formation agent is readily available on Companies house website. However, Companies House neither warrants nor accepts any liability for the same. Web Incorporation Services: This is a secure system for customers and can be used by anyone who wants to incorporate a private limited company (As per Companies Act 2006) and to submit their applications to incorporate a company online. However, this service is not for bulk use. Under this service, one can incorporate a private company limited by shares, adopting model articles wherein shares of private company are not for sale to the public service. The fees for submitting your company incorporation is £15 and there will be additional fees charged for your broadband or telephone charges. All company incorporation documents are subject to checks and once all documents satisfy all the required and appropriate examination and company name checks, your company gets incorporated at the Companies House and a Certificate of Incorporation is issued. Whether the company’s registered office is in England and Wales, Wales, Scotland or in Northern Ireland. Company Information, which includes nature of company, its registered address, date of its incorporation etc. Company’s status like Dissolved, Live etc. If you want to follow any company or companies, all you need to do is to sign in with your registered email address and password and search for the name of the company you are interested and click on follow this company. Web CHeck – It allows you to access to company information, where basic information about the company is free however, documents and reports are charged at £1 per document. You don’t need to set up an account to access the information and most of the documents are available as images. However, before you make a purchase through its secured check out page, you will need to register an email address with a password. At a time you can add documents to your shopping basket up to an order limit of £50 which will be in your download area for viewing/saving for 10 days if not opened and for 4 days if opened. Period and reason for disqualification. Companies House Direct (CHD):- It gives access to over 130 million documents, nearly 20 years old. CHD has subscription fees of £4 on monthly basis. Most of the information on CHD is available in the form of images and download of which is charged at the rate of £1 each for PDF format or TIFF Format. You can use this service to file your company’s annual return and also to know when your accounts are due. Companies House offers WebFiling Service, which basically allows certain forms to be filled online rather than by post. WebFiling services can be used by company having numbers with various combinations of letters as prefixes, which depends on nature of your company i.e. if it is a Limited or Limited Liability Partnerships company. NI, RO and SC for Limited Companies and OC, SO and NC for Limited Liability Partnerships. Limited Companies or Limited Liability Partnerships that are dissolved, converted or closed cannot use WebFiling Services. Change to the registered office. Confirmation Statement of previous annual return. Account forms like Audit Exempt, Micro-Entitites etc. It is secure and simple to use for the general public and thus saves time. Authentication code replaces hand-written signatures. You receive acknowledgement from Companies House with 3 hours confirming receipt of your confirming receipt of your data. In addition to this, you will receive an email from the Companies House within 2 working days on the status of your data whether accepted or rejected with appropriate reasons in the later case. It pocket friendly i.e. save postage and courier costs. However, you would still have to fill up the form on paper at Companies House unless you have opted for Protected Online Filing (PROOF) Scheme. PROOF Scheme is a free service at the Company House which protects your company from corporate identity theft. To register for WebFiling, you have to provide an email address and password and your company number and an Authentication Code will be sent to the company’s registered office address. This service is available 24/7 for the submission and searching of information and fees for filing an extractive report is £250. Data Services Data service of Companies House can be used to download bulk files of company data in CSV Format and to download bilk files of accounts data in iXBRL and HTML formats. 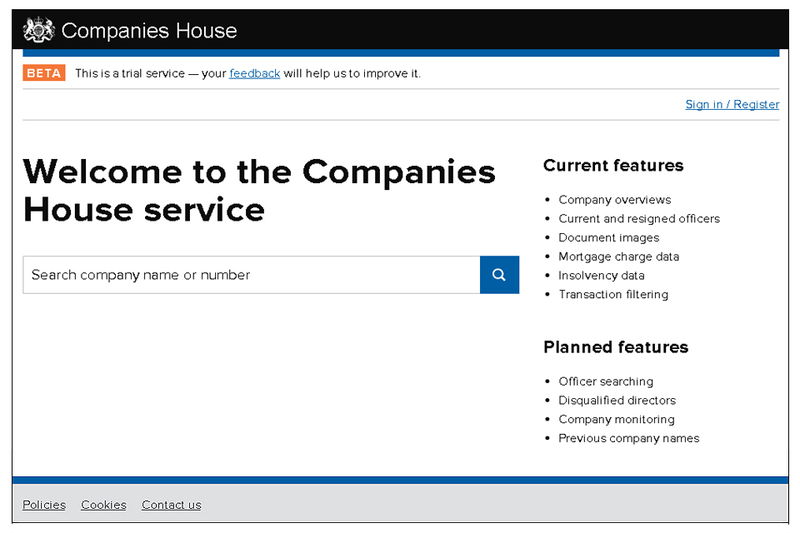 How To Register Your Company With Companies House? 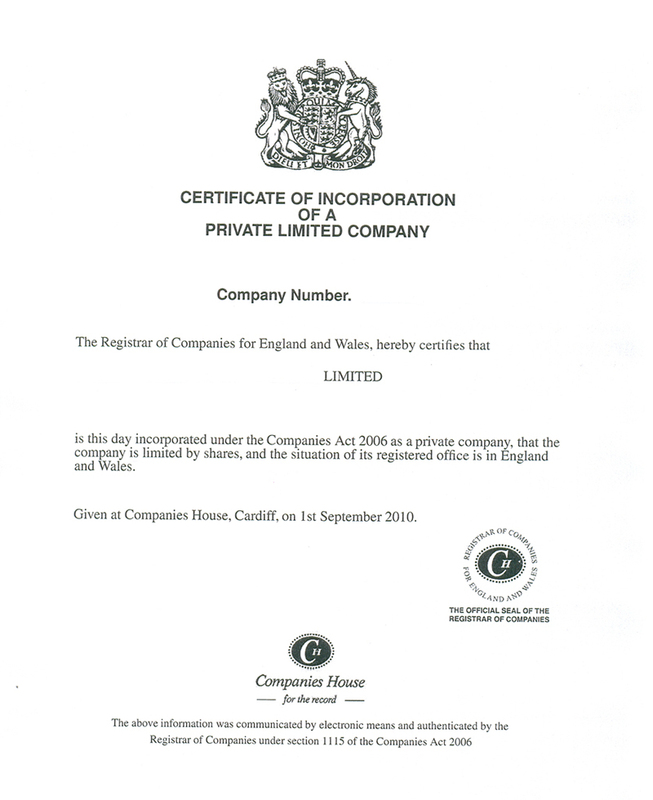 Step by Step Register Your Company With Companies House? Decide if it’s really a limited company that you need: A little thought at the beginning to whether a limited company or sole trader would be best option for your business would not only help you to start in a proper manner but will also save you from spending endless hours on the phone to HMRC, completing and resubmitting forms and all in all it will save you tearing your hair out. Choose a good company name: A good name can be a real asset to your business however; you need to follow certain rules before you zero down on one. There are a number of rules governing what can be chosen as a company name when you register a new company, the most important being that it’s different from any company that already exists. A UK registered office address. Anticipated activities of the business need to be listed down. Company director and if required, company secretary details. Prepare Memorandum and Articles of Association: Articles of association form the rule book of the company which defines how the company is to be run by the directors. Memorandum is a short document which includes no of standard clauses and subscribers to the initial shares. Memorandum and articles of association collectively make up the constitution of the company. Apply online through their dedicated software – the standard fee is £10. Web Incorporation through Companies House’s online portal – the standard fees is £12. Wait for the approval: Once you are done with the registration process as listed above, you have to wait to operate the business until you receive the approval from Companies House. If you have registered your company using paper forms, the process of approval will take longer as compared to online option. Conduct Company’s first board meeting: It is always best to hold a meeting of the directors to cover some of the necessary formalities within a few weeks of registering the company. Register of Directors and their residential addresses. Register of People with significant control. Registering with HMRC, which might include registering for VAT. Setting up a website, if you want your customers to find you online. Registering a trademark, if you think it’s important for your business. What If You Fail To Register Your Company With Companies House? Forming a limited company is just the initial step in a line of fixed legal processes to follow throughout the lifetime of the company because when you incorporated your company with Companies House and HMRC, it has converted your business into a corporate body. The financial year for a new company starts on the day of its incorporation and since that day, it becomes your legal responsibility to immediately contact HMRC and Companies House, even if not trading. So, when you incorporate your business with the concerned government authorities so that it is available for public inspection, what do you get in return? You, as a listed corporate entity on Companies House, get benefits of trading with limited liability. Along with that, if your data is up-to-date, people can then make informed decisions if they may wish to do business with or invest in your company. Once your company is registered with Companies House, by Law you are bounded to file Company Accounts or Statutory Accounts*, later termed as Confirmation Statement with Companies House, and Company Tax Return for Corporation Tax with HMRC. If you miss filing or payment deadlines imposed by HMRC or Companies House, you will have to go through various penalties or fines, depending on how late you are. *Statutory accounts must include a balance sheet with its director’s name (with details of everything that the company owns on the last day of financial year, a profit and loss account, notes about the accounts and a director’s report. It is no function of the state to use the penalty system as cash generating scheme and any right-thinking member of the society would consider it to be unfair dealing of an important organ of the state. Over past few years, number of freelancers, contractors and small business owners has increased multifold and so is the volume of individuals to file their returns, mostly Self Assessment and late returns as well. And HMRC is under pressure to reduce the tax gap which has been created because of the wide gap in between the amount of tax that should have been collected and amount of tax that is actually collected. However, HMRC denies any such practice and if to quote HMRC, penalty rules are designed to create a level playing field for the majority who make the effort to get the things right while penalizing the minority who try to get round the rules or make careless mistakes. So, those facing fines should do their best to launch an appeal with valid reasons and suitable documents for HMRC to consider it. If You Are Submitting Your Accounts For The First Time - In case it is your first account submission, you must deliver them to HMRC within 21 months of its incorporation for private companies and within 18 months for public companies, or 3 months from the accounting reference date, whichever is longer. For Subsequent Accounts- In subsequent years, its 9 months for private companies and 6 months for public. Who Is Responsible To Take Care Of Timely Submission Of Accounts With HMRC and Companies House? The officers of the company are the people who have been formally appointed to run the company’s affair – The Company Directors & The Company Secretary, if appointed. For private companies, they must have at least 1 director and if that is the case, he cannot be the company’s secretary as well. Director responsibilities include sending accounts (for limited companies), annual returns and notice of change of directors or secretaries. Notice of change of registered office is also required by law. Failure to file accounts or annual returns is a criminal offence and a director can end up with a criminal record and fine up to £5,000 for each violation. Alternatively, if the Registrar believes the company is no longer in business it can be struck off the register and dissolved. If this happens, company assets, including bank accounts and property are taken by the Crown. Apart from sending the accounts and tax returns to HMRC and Companies House, company directors, employed by their own company have to send Self-Assessment Tax Returns to HMRC by a pre-defined time period. Self-Assessment Tax system is a system introduced by HMRC to collect income tax. One can use the online service to fill in and send your tax return to HMRC or one can opt for paper mode as well. If you don’t meet the self assessment tax return deadline then penalties will be charged. Bear in mind that daily interest is then accumulated on top of this. There are two kinds of penalties, those for late filing of self-assessment tax returns and those for late payment of tax due as a result of self assessment. By missing deadlines you are putting yourself on HMRC‘s radar and you're more likely to undergo a tax enquiry. Be sure to get your returns in on time and pay before the due date, to reduce the risk and stress of dealing with a potential tax investigation. Reductions apply for prompted and unprompted disclosuresand telling, giving and helping. 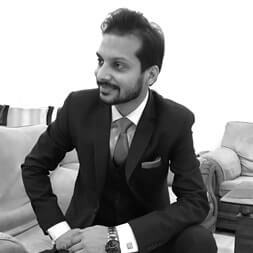 Penalties for Late Filing and Late Payment for Companies who are registered for VAT: Penalties for VAT registered businesses are quite strict if you miss filing multiple returns. Penalties for Late Filing of your Construction Industry Scheme (CIS) Scheme: If you are a contractor working under the CIS Scheme, then you have to face additional penalties in case you file your CIS return late. As with most of the tax filings, HMRC is ready and waiting with the penalty Registered as a limited company, there are a number of legal obligations and accounting requirements which you are expected to comply with. Failure to meet your obligations could lead to financial penalties and in a more serious situation a company may even be struck from the register. Keep track of the accounts filed with the Companies House and mark the calendar to remind you of the deadline. Companies House sends out reminders to the directors, so check them for the deadlines. Instruct your accountants to prepare and submit the accounts on time to avoid any penalties. You may feel aggrieved that you were unable to file your return on time for a perfectly valid reason. If you want to appeal against any penalties charged there is a formal appeals procedure you should follow. In order to convince HMRC & Companies House to withdraw their penalty notice you will have to convince them that you had a reasonable excuse. Online Services would not accept the tax return – you’ll need to provide the error message you received and the date you tried to send it. You did not receive the tax return or letter telling you to complete a tax return – HMRC and Companies House usually know if you did not because it is sent back undelivered. Lossof tax records, through theft, fire or flood that cannot be replaced in time to meet the deadline. Your cheque was dishonored because of an error by your bank. If you register for on-line filing before the 31 January filing date, but do not get your access code in time to file before the deadline, HMRC may accept this as a reasonable excuse. You don’t know how and when to file your accounts. They did not remind you about the tax return and payment deadlines. You cannot afford to pay. The directors live or were travelling overseas. Your cheque was dishonored due to a shortage of funds or made out incorrectly. If you think that you have a reasonable reason for not filing your accounts on time, you must appeal to HMRC within 30 days of the date of penalty notice. If you apply later than that, then it is up to HMRC and they will decide if to consider your appeal or not. HMRC sends penalty notice by post so you will receive appeal form along with it. However for Self Assessment, Paye,Vat and Corporation Tax, you would require more documents to support your case. In case you do not have an appeal form, you can send a signed letter by post to HMRC with your name, your reference number (VAT registration number or Unique Taxpayer Reference) and your list of reasons for late filing of your accounts. In case, it was the computer problem because of which you were not able to stick to the deadline, include the date on which you tried to do the online payment with the error message displayed on the screen. The date when penalty was issued, because you need to appeal within 30 days of this date. The date when you have filed your Self Assessment Tax Return, in case you have filed one. Reasons/reasonable excuse for late filing. The ‘reasonable excuse’ must continue throughout the period from the missed filing date until shortly before you actually file the return. This means that if it is accepted that you had a ‘reasonable excuse’ for some, but not all, of this period, the penalties will not be cancelled. If you haven’t paid your PAYE amount in full and on time, HMRC will be ready to strike its penalty hammer on you and you will be given 30 days from the issue of penalty to pay or to appeal it. In the former case, you can choose various payment options i.e Credit or Debit Card, Online or telephone banking, cheque by post etc and in the later case, you can login through your government gateway credentials and select “Appeal a Penalty”. You will get an immediate acknowledgment to submit your appeal. 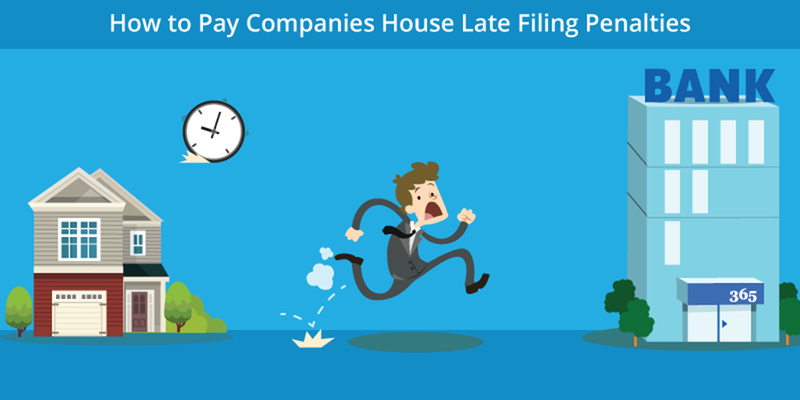 Companies House Late Filing Penalties are notoriously difficult to get overturned and like it was the case with HMRC, you need to submit your appeal to the Companies House with your list of reasons/reasonable excuse for late filing of your accounts. Irrespective of what you think could be a reasonable reason, Companies House has their set of rules to classify it under “reasonable or unreasonable excuse” and you have to prove with suitable documents that the circumstances mentioned by you were way beyond your control which made it impossible for you to adhere to the deadline. In case, they find your reasons fit under to classify as reasonable, your appeal will be accepted. To appeal the penalty, you can either write to them to the address mentioned on the front page of penalty invoice or send them an email on enquiries@companies-house-gov.uk with penalty reference number. No penalty will be collected till the time you get a reply from the Companies House, which is normal case is 10 working days. Once you appeal to the Companies House, be prepared for both the scenario i.e. your appeal is accepted or your appeal is rejected. In the later case where your appeal has got rejected, you can write to the Senior Casework Unit in the Late Filing Penalties Department at the Companies House Office (Based on location of your company). You can further approach to Independent Adjudicators in case your appeal is rejected by SCU. So, you have started your venture and are working endless hours to make it a brand. There is lot to take care of at your end and you are out there in the world to create a mark in the business world. You have planned and started well with set of right documentation, Memorandum of Association, Registers, Directors and Secretaries etc and have allocated their responsibilities. However at times you get busy keeping track of your business and it becomes difficult for you to keep a thorough track of the fast changing accounting and taxation rules, guidelines and deadlines. So it is always good to give yourself a cushion as you schedule your individual tasks by marking the due date a few days ahead of the actual deadline so that you have ample time at your end to deal with the changes or last minute emergencies. You can either do it all by yourself but this way you will end up burning midnight oil and taking your focus, time and energy off the other important tasks. 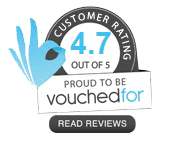 So if not you, you can outsource services of well established accountants like DNS Accountants to keep a track of the accounting guidelines and taxation deadlines and you save yourself from the last minute heavy penalties. Started in year 2002, DNS Accountants are not only a trusted brand but also have years of domain knowledge. Their clients vouch for their professionalism and their guidance in making right decisions about the business and keeping a thorough track of all major as well as minor deadlines so that you file your accounts, tax payments and returns well ahead of declared deadlines. DNS Accountants takes responsibility of entire taxation and accounting need of the business and their services comes at a very nominal price. Apart from the taxation, you can utilize them for accounting, financial records management as well.